WASHINGTON — FBI Director James Comey, already under fierce public scrutiny for his handling of the election-year probe of Hillary Clinton, faces a new internal investigation into whether he and the Justice Department followed established protocol in the email server case. The wide-ranging investigation from the Justice Department's inspector general will focus in part on Comey's decision to announce the findings of the FBI's probe at an unusual news conference, and on two letters he sent to Congress in the days before the election that thrust the matter back to the forefront. It's not clear how long the review will take or what it will find, but there's no question the investigation will revisit intensely debated decisions the FBI made during the investigation and revive questions of whether the bureau took actions that might have influenced the outcome. The inspector general's probe also is likely to bring unwanted new attention to Comey, whom some Democrats have partially blamed for Clinton's loss to Trump, at a time when the FBI has been trying to reassert its reputation as an independent and apolitical law enforcement agency. Comey said he was pleased about the review, which comes in response to requests from members of Congress and the public. He said the FBI would cooperate fully. Robby Mook, who served as Clinton's campaign manager, said concerns were raised when Comey commented on the investigation and that the release of his letters in the days before the election was "extremely destructive and ended up amounting to nothing whatsoever." During a Senate Intelligence Committee briefing on Russian hacking, Comey was pressed by lawmakers on his handling of the investigation. Inspector General Michael Horowitz's office is one of many independent investigative bodies designed to oversee the conduct of federal departments and agencies. They most commonly seek to ferret out misconduct and fraud in the department or among its contractors. Investigating an agency's top leadership is a rare, but not unheard of, occurrence. The Justice Department's inspector general investigated Bush-era Attorney General Alberto Gonzales for potential mishandling of classified information and for a scandal involving the firing of U.S. attorneys. A separate probe of the Fast and Furious gun-walking scandal also looked into the actions of top Justice Department leaders, including Obama-era Attorney General Eric Holder. 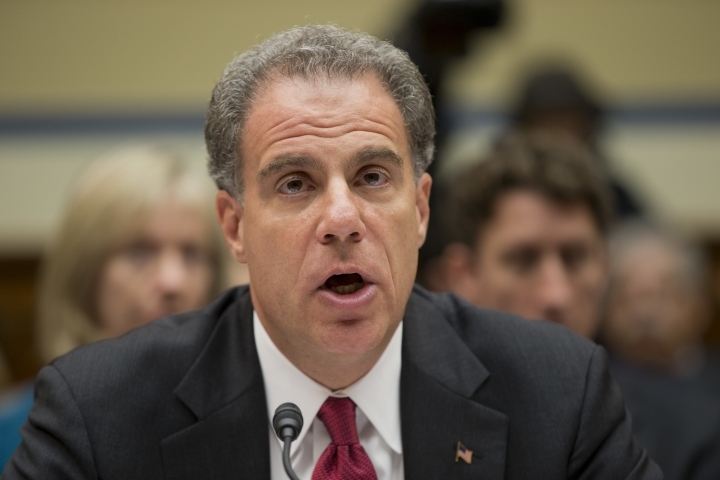 The inspector general cannot be replaced by an attorney general, but Horowitz does serve at the pleasure of the president. 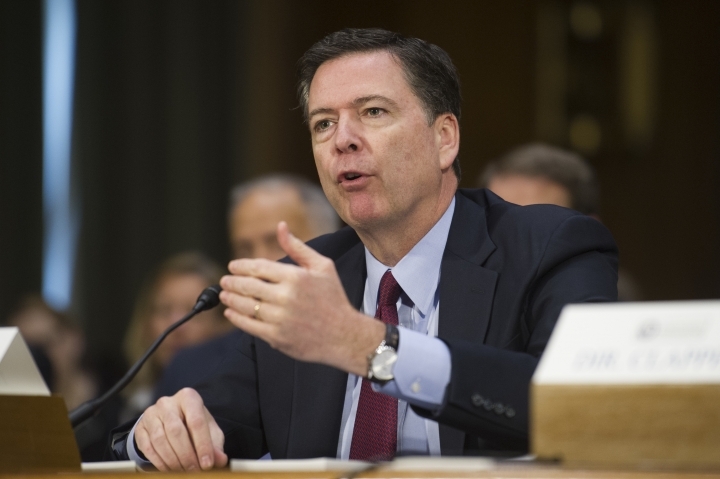 One part of the new review will concern Comey's news conference last July in which he said the FBI would not recommend charges against Clinton for her use of a private email system during her tenure as secretary of state. Trump repeatedly criticized that practice, contending it put national security secrets at risk, and raised the investigation repeatedly at his raucous rallies. Despite the recommendation, Comey publicly chastised Clinton and her aides as "extremely careless" in their email practices. It's highly unusual for federal law enforcement officials to discuss details of a criminal case that ends without charges being filed. Comey reignited the email controversy on Oct. 28 when he informed Congress that agents would be reviewing a cache of newly found emails for any new evidence related to Clinton's handling of sensitive State Department material. Clinton and her aides have said the disclosure of the "new" emails, found on a laptop belonging to former New York Rep. Anthony Weiner, the estranged husband of Clinton aide Huma Abedin, hurt the candidate in several battleground states. Trump won the election in part with narrow victories in Democratic-leaning states like Wisconsin, Michigan and Pennsylvania. Weiner's laptop was initially seized by agents for an investigation into his online relationship with a teenage girl in North Carolina.